Baldor Electric Company is one of the oldest, yet one of the strongest companies to date. Interestingly, the company dates way back to 1920. The place where everything started was in St. Louis, Missouri. Baldor has greatly evolved over the course of years being in business. Baldors unwavering empire is the result of more than 136 years of innovation and consistency. IMS & DBH proudly carry a full line of Baldor electric motors. Baldor is one of the leaders in the electric motors industry. Baldor’s product quality is only getting better and better by the day. The Baldor motors are constructed with a wide variety of industrial steel. This is to ensure that it can take on harsh application for its designs. Also, it’s important to note that it generally offers an enclosed cast iron schemes. This is including the single and three phase motors. 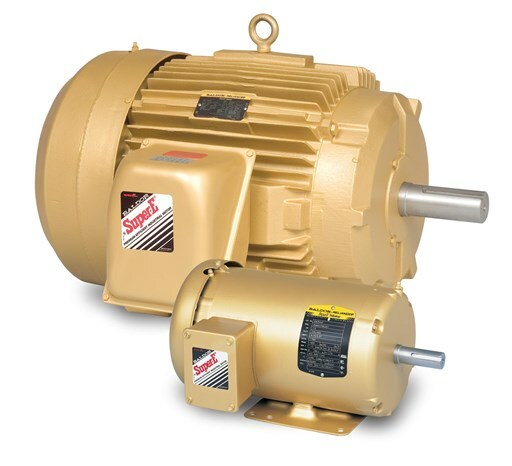 The motors have been made for different applications from general purpose to farm duty. Bladder is sure to have the right electric motor for you. Need someone to install your new Baldor Electric Motor? The team at IMS & DBH can help with that. Our customers rely on us to forever be dependable and deserving of their trust. Many of them have been with us since IMS’s start in 1994. We work very hard to earn and maintain their trust, and we are proud to service them. We always hire highly experienced technicians and we make certain to drug test every single one of our employees. And IMS & DBH is even a member of the Tennessee Drug Free Task Force. We hold our employees to the highest of standards. Our one-stop shop will stay on budget and it always helps you to avoid hidden and unknown fees. IMS & DBH is a premier and leading company that has been in the industrial machine industry for more than 25 years. We continually offers quality brands, products, and services worldwide. We proudly offer world-class professional machining services along with electric motor products and services. Please call us! We would be happy to hear from you and we love to answer any questions you might have about our current products or services; industrial machine servicing; portable line boring equipment; Air-Mite Pneumatic Valves; Welding Rods; Stainless Hydraulic Fittings; Electric Motors and Controls; Industrial Paint Booths; Air Logic Controls; Hose Reels; Hydraulic Pumps; Pneumatic Compressors; Valves; Specialty Welding; CNC Parts, and many more services than we can list.